OMG I’m so happy you enjoyed The Winner’s Curse Eve! I was worried my hype for so long would give you too high of expectations haha. And I’m glad you had a good time! :3 I, too, am usually a forest not a desert person haha, I just feel like there’s more to see..
Haha, I completely understand. I also worry when recommending books because I don’t want people to be disappointed. Not to fear, yet another of your wonderful reading recommendations turned out to be absolutely spot-on. 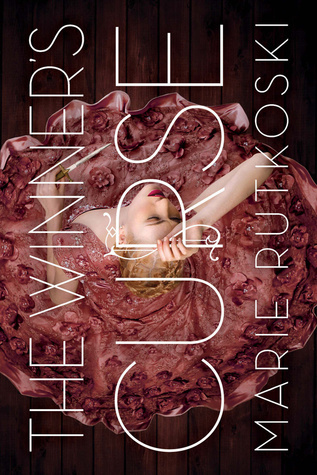 I enjoyed The Winner’s Curse even more than I thought I would! Amazing scenery! By the way, do you associate books with the place you were reading them in your memory (if it’s a memorable place)? i.e. will The Winner’s Curse forever be associated with the American Southwest for you? I find this sometimes happens to me with books, particularly audiobooks, so when I read your post it made me curious if other people have this experience too. Yes, I do that too! Sometimes with books but ESPECIALLY with music. Ah yes true I do that with music too! The first Savage Garden album will forever be associated with a childhood holiday to New Zealand for me. Savage Garden and a New Zealand vacation is a brilliant match-up. How beautiful! It reminds me of the Weeping Wall in Glacier National Park. Oo, I heard about “weeping rocks” for the first time during my recent trip. The park guide explained that where the water “weeps” through the cliffs is where trails of bushes and trees grow, which made perfect sense. I’d love to visit Glacier National Park someday. Ah I really enjoyed this book too- I thought no one else on the blogosphere did too! I own The Winner’s Curse and it’s been staring me down from my bookshelf for months now. I mostly only hear good things about it. Everyone says she’s not a typical YA heroine because she relies more on her intelligence than strength. I need to go ahead and read this!